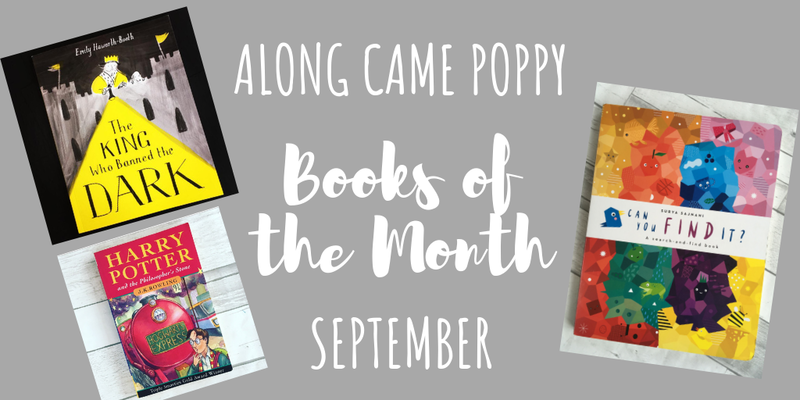 Our non-fiction book for September has been chosen because of its immediate popularity in our house. Can you find it? is a giant board book by Surya Sajnani and published by Words & Pictures. Designed as a search-and-find book, each colourful double spread is very engaging for children as there are lots of different things look for within the mosaic inspired illustrations. This first words book is ideal to help toddlers and preschoolers develop their language skills, build up basic vocabulary and will help also with colour and shape recognition. 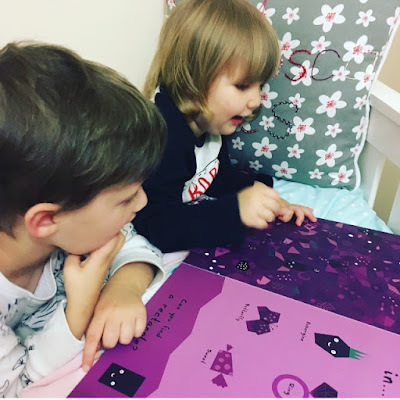 But what we really like about the book is that it is big enough so that both Mini Reviewers, Poppy (2) and Theo (4) can look at it together and take turns to find the different objects. It really is great when you can avoid book tug-of-war between siblings. Please tell me that is not just a thing in our house! The King Who Banned the Dark is an amazing debut picture book from award winning author-illustrator, Emily Haworth-Booth and published by Pavilion. 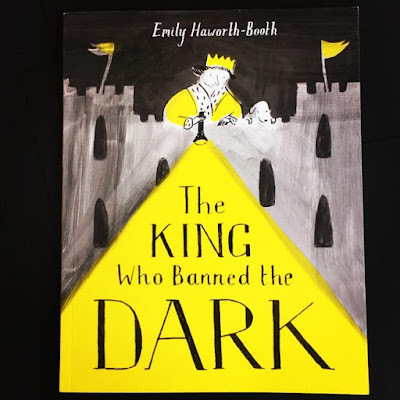 It's the tale of a prince who is so afraid of the dark that when he becomes King he spreads rumours throughout the Kingdom so that the people eventually want the dark banned. But what happens when there is no darkness or nighttime? Can we still enjoy the light? The people, and even the King, soon start to realise that perhaps the dark wasn't so bad after all. This is not only a great story, but one with strong political undertones making the reader question the role of a leader and highlighting the power of protest. 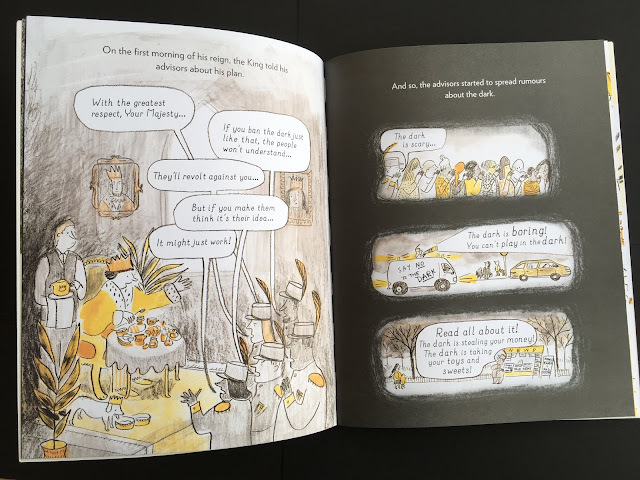 The striking illustrations in predominantly black and yellow make for a really powerful package. 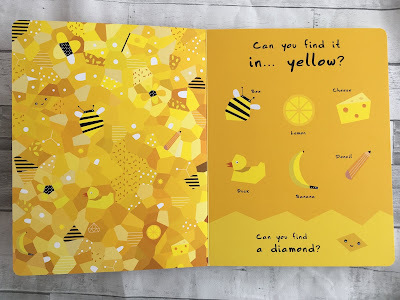 We have chosen it as our Picture Book of the Month because the Mini Reviewers have asked for it again and again since its arrival plus I think it deserves huge recognition! So that's it for another month but we would love to hear which books you have been enjoying, please do let us know in the comments below and until next time... Happy Reading! *We received review copies of The King Who Banned the Dark and Can You Find It? However, all opinions are as always our own. This post contains Amazon affiliate links. This means if you complete a purchase using the link within a certain time frame, we receive a small amount of money but at no additional cost to you. These all look lovely and I've just read your Harry Potter post too. my daughter was much more scared when we read the illustrated edition of Harry Potter and the Philosopher's Stone, the picture of Voldemort scared her more than in the film. 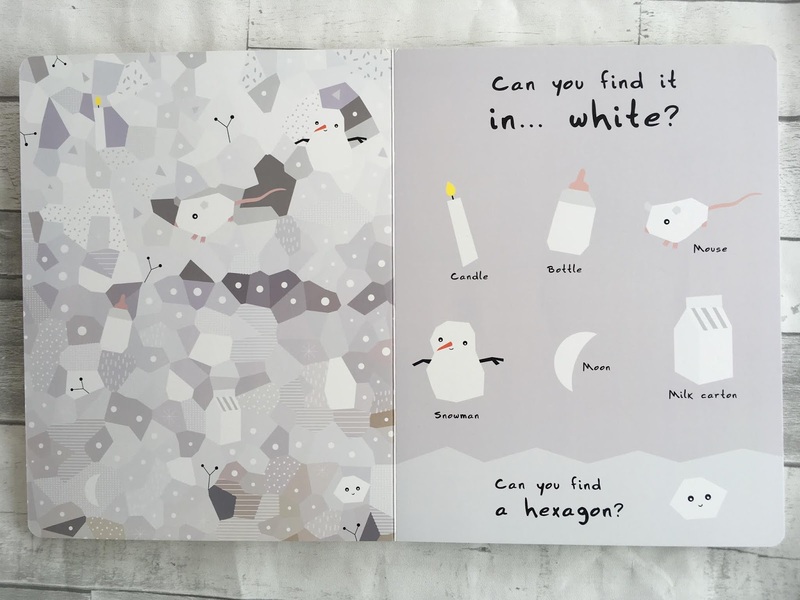 Those both look like lovely books for little ones, and you definitely can't beat Harry Potter! I started reading Philospher's Stone to my boys when they were 7 and 9 and it wasn't long before they were reading the whole series on their own. For some reason my daughter has always refused to read it though. Both these books look great! 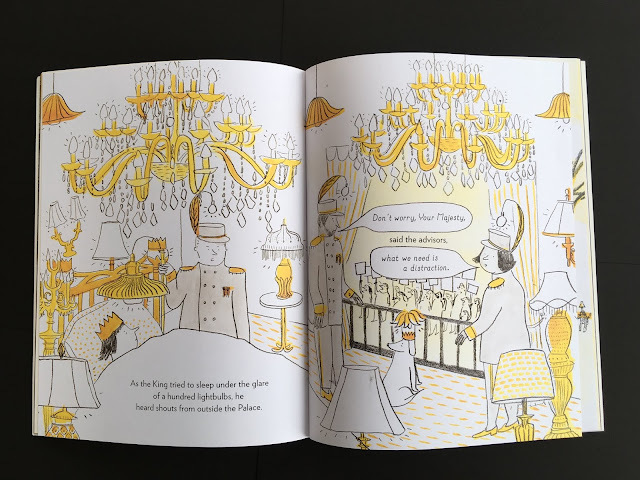 I love a bit of politics in picture books so The King Who Banned The Dark sounds right up my street!